a piece i made for sir magazine. 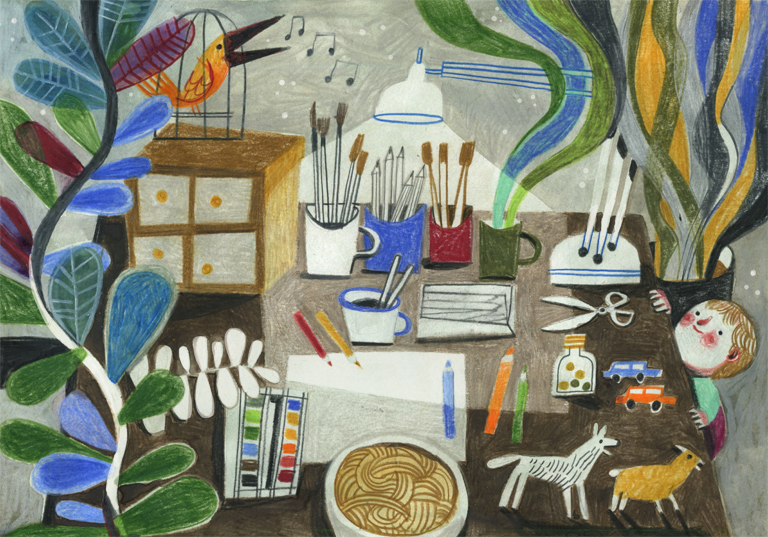 they do a lovely feature about creatives' work spaces. I love the spaghetti bowl, the singing bird, the steaming cup... and the toddler about to catch the scissors. I need to paint my studio! Love your little one there. What a wonderful drawing! And I love so much that your little girl is appearing. So sweet!